Have you suffered a knee injury at work? Contact a Missouri workers’ compensation lawyer for help. 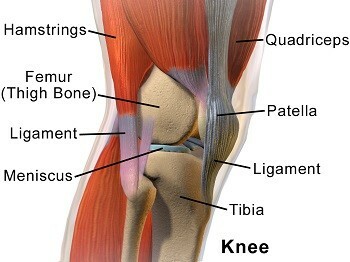 Knee injuries are a common work-related injury and can range from being mild to extremely serious. The problem with knee injuries is that it is hard to determine how serious it is because of the fact that the meniscus cartilage has no nerve endings. As the injury worsens and becomes more painful, surgery may be the only option left. The following workers are most prone to knee injuries. It takes a lot of time for someone to fully recover from a knee injury. Recovery time ranges from a few months to possibly years. The fact is that broken bones heal faster than cartilage and ligament injuries. Knee injuries can have serious implications, and they may render a worker incapable of returning to work. For instance, truck drivers even after recovery may no longer be able to drive for long distances. A person who has suffered a knee injury is usually unable to stand for long periods or lift heavy things even after full recovery. Meniscus injuries: When the meniscus is torn, the resultant injury can cause intense pain. Most workers come to know that their meniscus is torn when they experience a sensation in the knee and experience pain and discomfort while climbing steep places such as stairs. In some cases, the knee swells. This can be very painful and may restrict motion. Surgery is the best option in repairing the torn meniscus. Nonetheless, there are other less costly options such as physical therapy, cortisone injections, and anti-inflammatory medication, although they are not as effective as surgery. Ligament injuries: Such injuries are also referred to as sprains. They can be much more complicated than muscle strains. They often take a lot of time to recover, and some injuries such as an anterior cruciate ligament injury may need reconstructive surgery for full recovery. Chondromalacia: This is a disorder caused mainly by the softening of the articular cartilage of the knee. The main causes behind this injury are trauma, overuse, or repetitive motion on the job. Its signs and symptoms are increased pain when walking up or down stairs, dull achy pains in the front of the knee, pain in the knee when squatting or kneeling, pain in the knee after sitting for long periods, and grinding sensations when you extend your knee. Diagnosis of the condition involves conducting simple knee exercises or x-ray and other imaging tests as specified by the doctor. Treatment options for knee injuries are pain relievers, bed rest, physical therapy, and in rare cases arthroscopic or realignment surgery. If you have suffered a knee injury at the workplace, contact The Law Office of James M. Hoffmann at (314) 361-4300 for a free consultation.